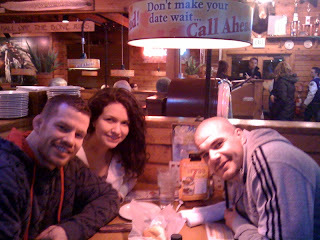 Here I am at dinner with @McSweeneyMMA and Tess. I had the filet and so far, it's stayed down. My upset stomach feels a lot better. Apparently, taking 800mg of ibuprofen on an empty stomach before sparring is a bad thing.